Johannesburg - Northam Platinum [JSE:NHM] swang into first half profit buoyed by higher output after recovering from a protracted strike and a weaker rand that increased its earnings. 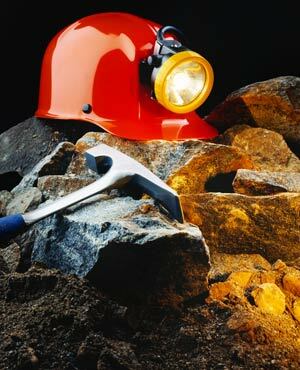 Northam, the world's third largest platinum producer by market value, said headline earnings per share for the six months to December were 89.4 cents from a loss of 25c a year ago, but warned of the impact on output due to power shortages. Northam said the outlook for metal prices was subdued, but a weaker rand could offer South African producers further relief. However, it said it was concerned about power shortages. "The unstable supply of electricity by Eskom is also a major concern for maintaining production momentum," the company said in a statement, referring to controlled outages by state-owned utility Eskom which is struggling to meet demand. The group said it received a higher price for its platinum and palladium exports in the period to December, which rose by 8.7% to R415 814 ($35 634) per kg as the rand weakened against the US currency by about almost 10%. South African-based mining companies sell their metal in dollars and pay their costs in rand. The company said it was still looking to buy assets that are on sale in the sector, but did not give specific details. Northam was pushed into a first-half loss after an 11-week strike at its flagship Zondereinde mine, but output recovered to grow by 20% to 134 345 ounces. Northam's Booysendal mine milled about 16% more to 65 630oz. Northam again faced labour woes in January, when unionised workers stopped work calling for the removal of the company's chief executive, among other things. The company said on Friday that its financial strength this year was "dependent on stable labour relations", citing that it was due to enter new wage talks with unions in mid-2015. Shares in Northam fell 0.52% versus a 0.27% rise in the Johannesburg All-share index.